Being based online has its share of advantages. Clients are plentiful and easy to come by, your company can operate from anywhere in the world, and with enough promotional efforts you can easily create a long-term client base that brings in recurring income and major projects. When it comes to ultra-low operating costs and simple marketing, running an online business is the way to go. However, a number of online service businesses are in a unique position. Rather than sticking exclusively to online business, they have the ability to pitch to local clients in their area for extra income and major projects. From local online marketing clients to web design and development, the opportunities for online businesses that aren’t afraid to approach offline clients can be huge. These four rules aren’t exactly rules – you’re free to break them if it works for you – but they’re high quality guidelines for transitioning to the world of offline business. Local clients can be highly valuable, especially when approached in the right way, and as a beginner it’s best to use these rules to structure your offline pitches, local client queries, and potential projects. ￼Email pitches are low friction. If potential clients aren’t interested, at least they won’t be annoyed by your pitch. Companies with long-term potential are pitched all the time, especially through the annoying salesman-in-the-office style hustle. There’s nothing most local businesses hate more than an aggressive cold call, which is why you should avoid it entirely for your first approach. When you spot a local business that could benefit from your web design and marketing abilities, check first to see if they have any kind of web presence. As a designer, you’re in a much better position if they already have a website than if they don’t at all. Businesses with a somewhat effective online presence understand the potential of the internet for the business; those without it typically require explanation before they’ll consider one. 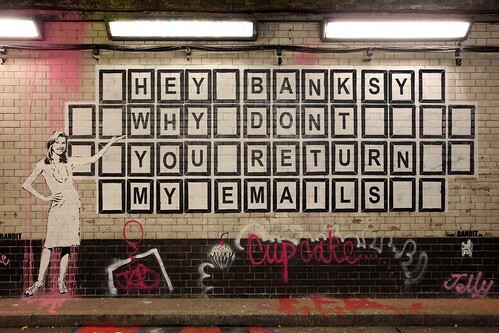 If they have email listed on their website, send them one. If not, call them personally, ask to speak to whoever is in charge of online marketing (if no one is, ask for the owner or local manager) and introduce your services gradually. 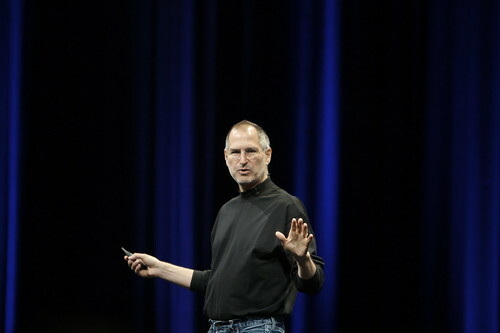 Steve Jobs is a master of selling the experience, not just the technical product. Focus on the business experience that a website can deliver. Most companies understand what a website is, but few understand why and how they’re so valuable. Most local business websites are, for lack of a better term, horrible, and completely ineffective from a marketing perspective. The relatively incompetence and lack of value amongst local business websites isn’t a bad thing – as a designer it’s very much a good thing for you. Explain to your clients how a website can help them. Even a simple action-driven static website is enough to increase the bottom line for a lot of local companies. Explain the potential leads that a favorable SEO presence can demonstrate. Instead of boring potential clients with technical sales talk, explain exactly how a website can introduce more value to their business. ￼Coffee, some projects notes, and a quick chat can go a long way towards developing long-term professional relationships. In-person meetings feel a little foreign for online entrepreneurs and freelancers. We’ve grown so accustomed to eating at our desks and arranging projects over email that lunch with a client feels like a business scene from the 1950s. Still, the vast majority of online clients will want some form of physical meeting before committing to a project – especially if it’s a long-term marketing project or large scale design task. Be prepared for any offline meetings with physical copies of your online materials. If you’re used to marketing your design business online, transition to offline marketing with your own business card and basic summaries of future projects. Remember that most offline clients are unfamiliar with the value of internet business and marketing – reassure and inform them with clear project schedules, projected costs, and the overall benefits of the project. ￼Fail. It happens. Don’t let it hurt your offline marketing; let it refine and optimize it. There’s a slight emotional barrier that pops up when the majority of your client communications happen through email. Every ‘no’ feels like less of an issue, every turned-down proposal is a minor deal, and success is easily manageable. The world of offline business moves significantly slower, but it also carries a much greater emotional impact. Getting the old ‘no thanks’ email is nothing compared to having a potentially giant client turn you down in person. There are going to be times when your offline marketing efforts will fail, and with that failure comes the chance for you to do two things: pack up and leave, or concentrate and improve your efforts. A large portion of offline clients simply don’t understand how valuable an online presence could be for their business. When you get turned down for a major project, it’s not a jab at your skills or your business. Instead, it’s a failure of your own marketing abilities. Focus on being able to sell the service to offline clients, and use failed pitches as a chance to refine and optimize your sales message. Nice read, thanks a bunch. Great rules to remember! I mostly work with clients over the internet, but I do have to work with them offline too, from time to time. Meeting clients in person is not my favourite thing to do. Mainly because I don’t even own a laptop, and I don’t like printing everything out. 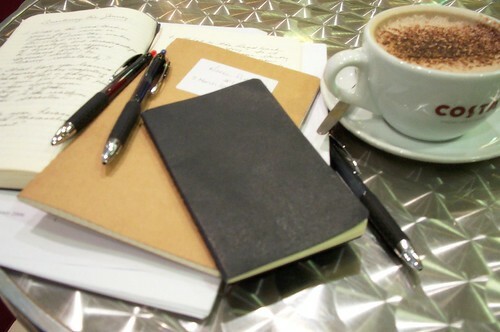 Sounds like you might benefit from a Moleskine and Pilot G-2 (Extra Fine Tip) pen. Great post, Matthew. The last paragraph is very truthful and inspiring. Thanks. Nice tips, my business card doesn’t even have my number so I can make sure that people can correspond via e-mail first, then I send it just in case, sometimes you have to be a little selfish in marketing to make sure you can bring about the best situations for you and your clients project. Nice post. My last several clients have actually been off-line folks. And I did take the time to meet them in person. Since I am doing a bit of geo-targeting towards local biz-it appears to be working. Met with someone last night and yes paid for the coffee:) While I may not be the person for what she needs at the moment, the meeting was invaluable for the long run as I offered some other services that she had not even considered. I see it as a win – win as well as the fact she found me from the little postcards I had left at the Health Food store I frequent. these are fantastic tips for pitching your ideas and identity to prospective clients. @Melody I agree we want clients to contact us through an email, but I’ve noticed it time and again; Clients want to be more than just clients, and we have to treat them that way. I’ve made international long distance, and just the idea of us calling them has won deals. Many offline businesses need the help of online marketers to get into the online world. There is a huge opportunity today for this. Thanks Mathew I mentioned your post on my blog as well. with crowdsourcing and template monsters among us, I find it to be more difficult to get quality website clients online. Folks looking to hire designers online are quickly overwhelmed with beyond ridiculous low balling solutions its difficult to get a quality lead. SEO and social media may be on the rise but for me there is no place better than the traditional approach. Actually I really appreciate it when people ask or prefer a meeting in person. When speaking in person it’s a whole lot easier to say the right things at the right time! Awesome post! Will be great for my new start up thanks. Remember if you are located in the states, and you are doing business without a proper business license, all it will take is 1 unhappy (uneducated) client to turn your whole world upside down. Absolutely agree with the rules you laid down. This is the type of post I wish I read more often. I actually just stopped my online freelancing company in favor of working for a local law firm full time. The main reasons I did this was to work on one project for a long period of time. I have done a lot of smaller stuff and some basic websites but never got to focus on one unified goal for an extended period of time. Working with a team is a great change from being a solo act for almost a year. Another benefit from the full time employment is consistent payment and health insurance. Loved the “Sell the Benefits, But Not the Website Itself” section. Definitely a strong way to sell something is through the actual experience of being involved with it. Very good article. Answered some of the questions I was wondering about starting out. Very nice post for the several office tips. thank for shearing. Great things to consider. I don’t like in-person meetings, but I haven’t had any real bad experiences either. Nice tips. I like working with local clients. Its an opportunity to get away from the computer and meet with people face-to-face. But I also agree, a nice casual email is a good starting point. They either want what your selling or don’t I always feel. Thanks a bunch. Nice tips. Great and Excellent post. Nice work. great post, it is very useful to me. Those tactics also served as a fantastic way to know that many people have similar eagerness similar to my own to learn a lot more around this issue. I think this was a great article, but from what you said emailing them first is good but I find it hard to get a return email that’s why I think calling or meeting in person holds the highest benefits, that way they know it’s not a scam or spam…. I am not only witty in myself, but the cause that wit is in other men. The catchy weblog while using intriguing posts. You have the excellent opinon that most individuals have no idea before. Most of your contents make me have got a many more understanding. It can be extremely unique. I am impressed with your website. Under no circumstances be bored to have a look at your website again. Guess I am so late in reading this article. Thanks for posting this Mathew.